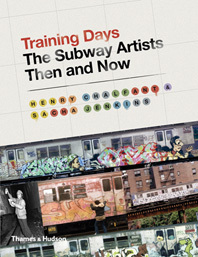 Although the public perception of graffiti has changed radically over the last fifty years, few would have predicted that it would become the subject of this major new textbook. Christoph Ganter covers the history of informal mark-making in the public realm, from the first unauthorized characters inscribed on the ancient walls of Egypt and Pompeii to nineteenth-century Vienna, where Joseph Kyselak established himself as the father of graffiti; from New York’s “Taki 183,” the first modern graffiti writer, to more recent developments brought about by the Hip Hop revolution. The effects of the 1980s films Beat Street, Wild Style, and StyleWars are examined, as is the influence graffiti experts on today’s subculture through books, magazines, and the Internet. 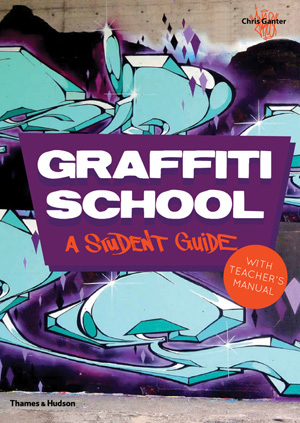 The practical elements of graffiti are considered in later chapters, which combine tips on handling a spray can, creating a unique tag, and getting work up safely and legally with step-by-step diagrams that show how to achieve effects such as bubblestyle, blockbusters, oneliners, and wildstyle. A teacher’s manual features sample plans for a single lesson as well as guidance on structuring a longer course. This in-depth volume supplies readers with a lion's share of knowledge on the often-marginalized art form of graffiti. Its aim is not only to educate …gives …insight into the practical and theoretical aspects of graffiti. Christoph Ganter is a graffiti artist and teacher who works under the tag “Jeroo.” He has contributed to zines and blogs such as lectrics.fr, blog.vandalog.com, ilovegraffiti.de, streetfiles.org, and Xplicit Grafx. He lives in Germany.